guys, um just sorry for that, but i really don't open this site very much, coz everytime i open the pc... i forget to open this site plus i can't open this site from mob. coz ma screen is too small :D & it loads by years, lol! 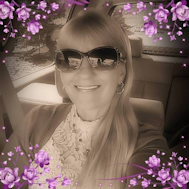 Login or register to add ♥۰•●ҳ̸Ҳ̸ҳ--(¯`Dolly S´¯)--ҳ̸Ҳ̸ҳ●•۰♥ﻬஐ as your friend!